In Cubase go to Devices | Device Setup | Midi Port Setup and make sure the rtpMIDI ports are enabled for input and output. Next go to Remote Devices. Click the + button (upper left) to add a new control surface definition. 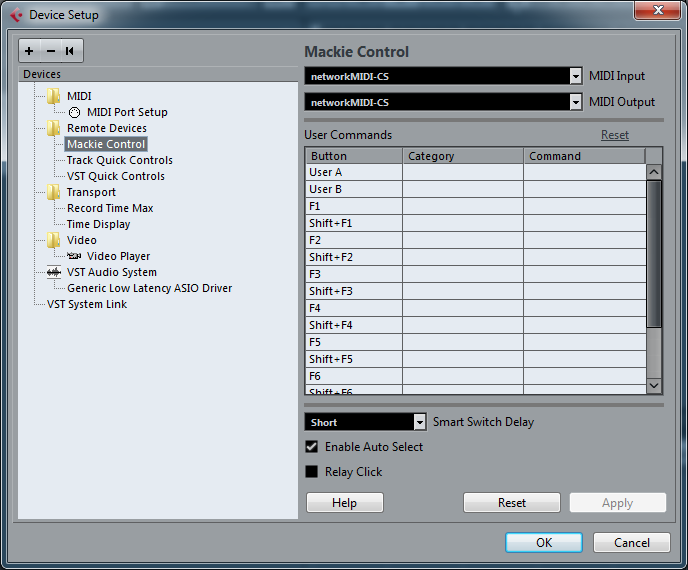 Select Mackie Control as the control surface type. 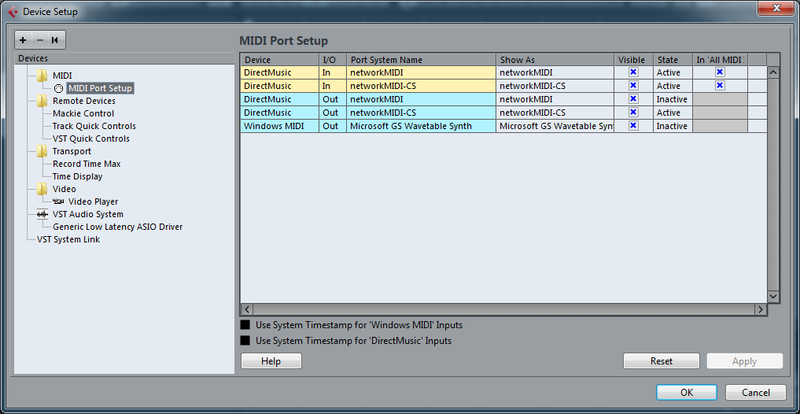 Select the rtpMIDI network MIDI device that was setup for the control surface as the in and out MIDI ports.